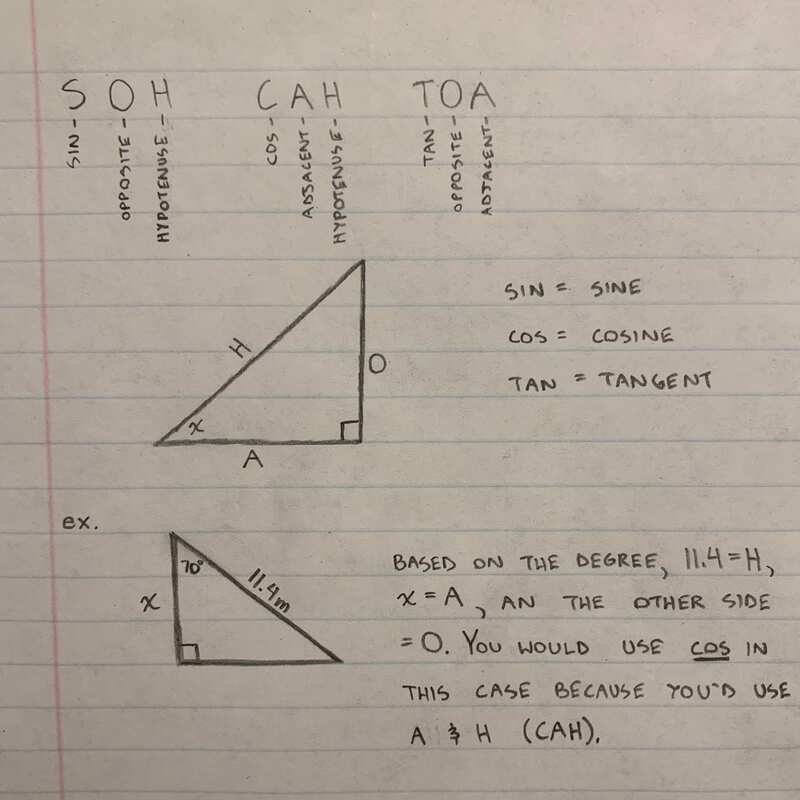 This week we began our unit on trigonometry. 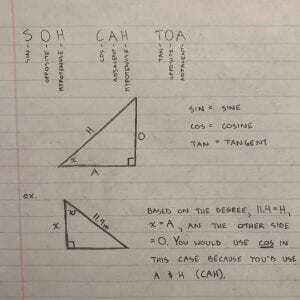 One of the things I learned was SOH CAH TOA, abbreviations that help you to memorize how to find side lengths using angles and equations. Each set of abbreviations begins with a letter that describes the angle equation to use on your calculator (S=sin C=cos T=tan). Depending on the angle of the triangle you are using and what side lengths are given to you, you can choose the correct angle to use. Each triangle has 3 sides, and when a base angle is given to you, these sides are given names. The longest of them is the hypotenuse, and the side that the base angle sits on is called the adjacent side, the final one, the opposite side, sits on the opposite of the angle. Even if you only have one side of the triangle and the angles (90 & other), you can find the side length you are looking for.